Continue EAST on SR 28 (Tahoe BLVD.) through Incline Village until you reach Country Club Drive (the third traffic light in Incline Village, located past the golf course). Turn RIGHT onto COUNTRY CLUB DR. Turn RIGHT at the THIRD DRIVEWAY onto the Sierra Nevada College campus (entrance located directly across from Mill Creek residential street). There is a parking lot located to your right and a loop driveway directly in front of the Tahoe Center for Environmental Sciences building. 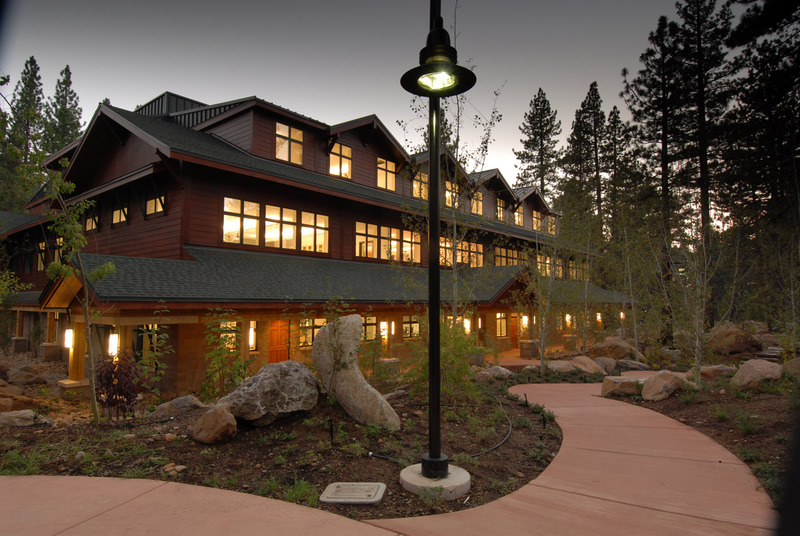 Walk on the path between the two buildings (Primm Library will be on your right, the Tahoe Center for Environmental Sciences will be on your left). This path will lead you to the front entrance of the Tahoe Center for Environmental Sciences located on the north side of the building. Proceed EAST on LAKE TAHOE BLVD / US-50. Continue to follow US-50 E (Crossing into NEVADA). Walk on the path between the two buildings (Prim Library will be on your right, the Tahoe Center for Environmental Sciences will be on your left). This path will lead you to the front entrance of Tahoe Center for Environmental Sciences located on the north side of the building. US-395 SOUTH toward CARSON CITY. Merge onto NV-431 / MT ROSE HWY via EXIT 56 toward MT ROSE / NO LAKE TAHOE. Continue on NV-431 toward North Lake Tahoe until you reach Country Club Drive. Turn LEFT onto COUNTRY CLUB DR and proceed south until you reach TAHOE BLVD / NV-28. Continue straight on COUNTRY CLUB DR.
Take the CA-89 / CA-267 exit- EXIT 188B- toward SIERRAVILLE / LAKE TAHOE. Turn RIGHT onto GLENN CARLSON MEMORIAL BYP / CA-267 / TRUCKEE BYP. Continue to follow CA-267 south over Brockway Summit toward Lake Tahoe. Turn LEFT onto CA-28 / N LAKE BLVD. Continue to follow CA-28 (Crossing into NEVADA).